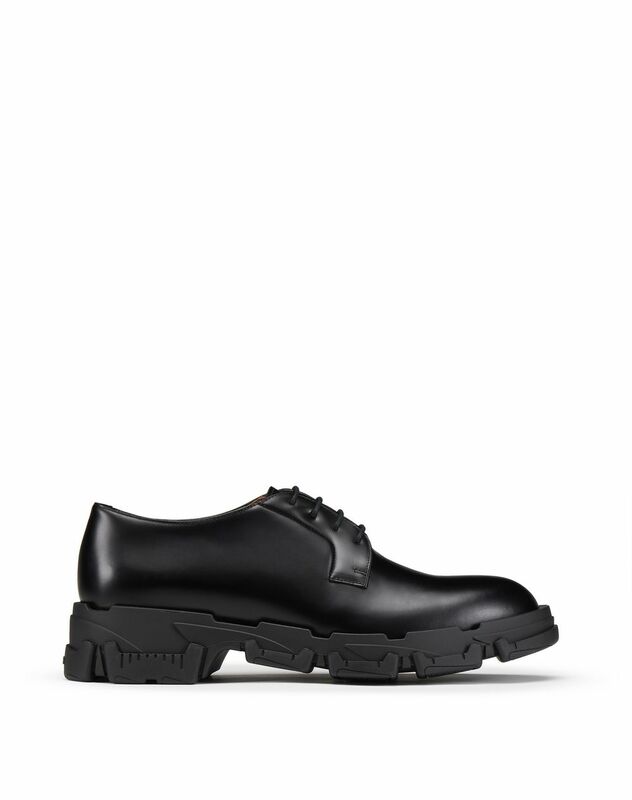 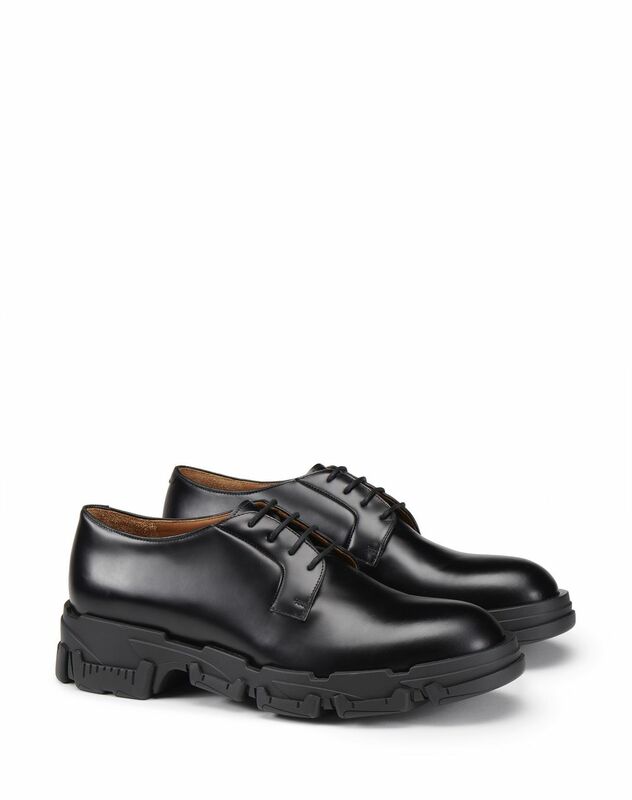 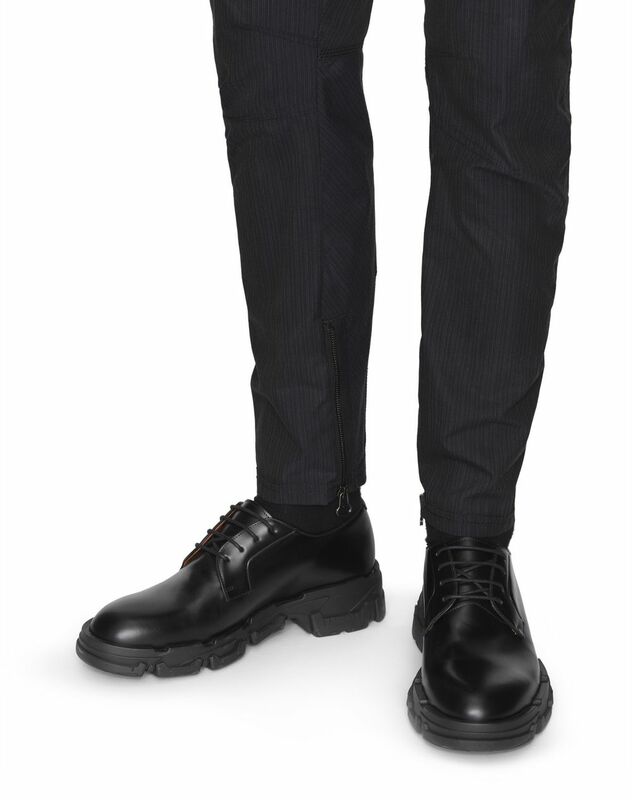 Matte black calfskin leather derby shoe with thin laces, beige calfskin leather lining, and exclusive TPU Explorer sole. 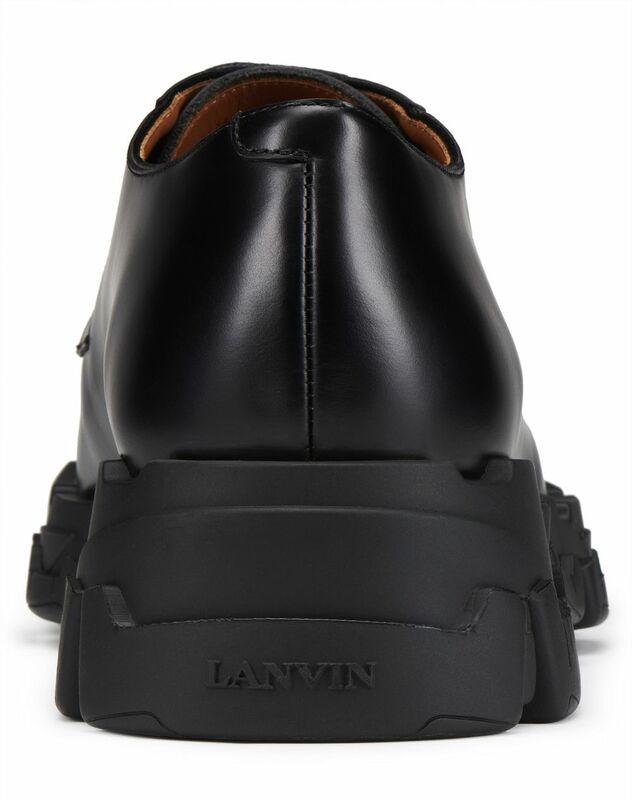 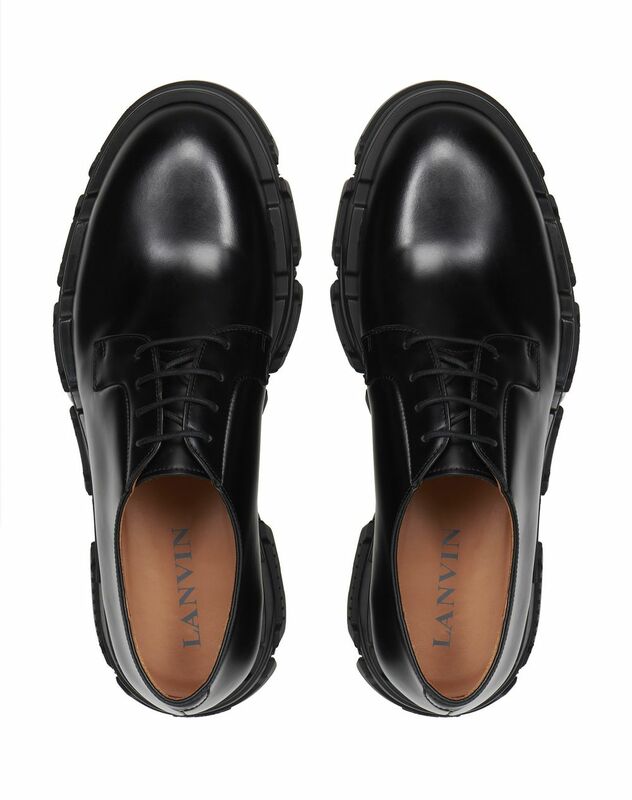 For the Spring/Summer 2019 Pre-Collection, Lanvin has reinvented the derby shoe in an elegantly modern way. 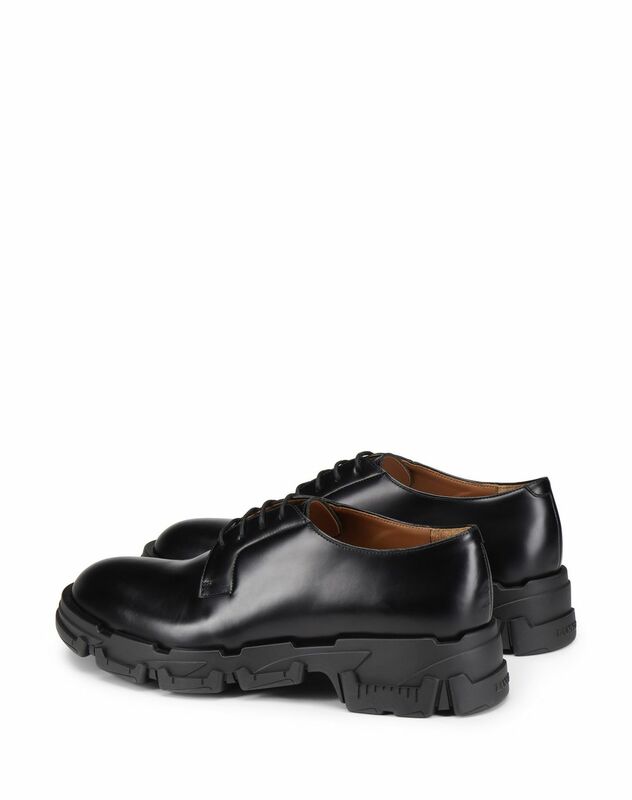 Based on the concept of the chunky shoe, the Explorer sole leaves the brand’s mark on this model.